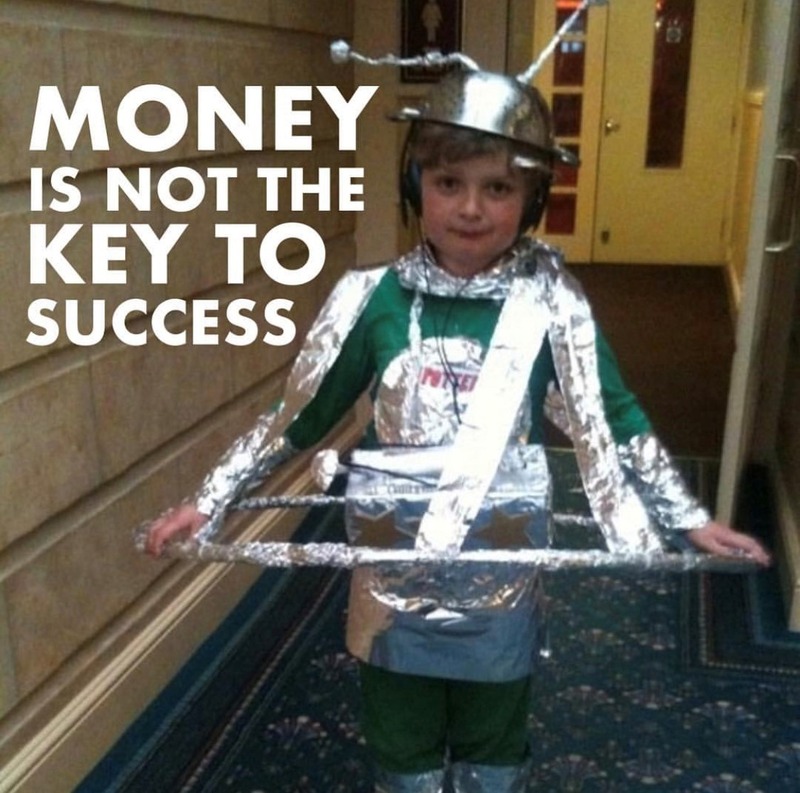 Money is NOT the key to Success. Back in 2010 I was on holiday at Potters Resort and had heard about a fancy dress competition being held one of the nights. I was in it to win it and had a carefully thought out strategy of what I’d be. My heart was set on being an alien but when I opened my mum’s laptop to look at costumes they were all way too expensive for me. I wouldn’t let this stop me so I went into the kitchen, grabbed a colander and some aluminium foil and got to work on making my own alien outfit. When the fancy dress competition finally arrived I won it and was (no pun intended), over the moon! This proves that you don’t need money to succeed and that when you face a hurdle that you feel will stop you from achieving your dreams, you can always reach for the colander and aluminium foil in the kitchen! One of these little moments happened to me last year with one of my old school friends. I was on tour in Malaysia contacting one of my really good friends who for the sake of this blog we’ll call ‘K’. We’d been friends for two years and had helped each other through about a billion and one situations at school. Anyway, I land in Kuala Lumpur Airport and text him like normal. Bare in mind at this point it was like 3 AM in the UK so no reply would have obviously been what I’d expect. 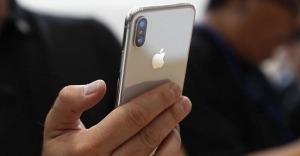 I check my phone in the morning, he’s seen the message. No reply. I get it, the amount of times I read messages and then Alexa will remind to trim a cress plant or something, we’ve all been there right? Here’s where it gets weird. A week passes and I’ve sent a few more messages. He’s seen them all. I mean, at this point I’m thinking ‘How much cress does this guy have?!’. 2 MONTHS go by. Nothing. I then asked one of our mutual friends to just ask him what’s going on (understandably). The reply was insane, way bigger than I could’ve thought. This was a long long list of things I’d been accused of doing. What’s interesting about this is a) none of them were true, b) I’d left this school 3 months before the silent treatment started. If anyone’s familiar with 21st century teens, this was a textbook example of an active Snapchat gossip group (or something of the sort). For the next few months I try everything to try and get hold of him, contact his brother, email, phone. Everything. And my response? Nothing. Look, I would have understood the silence if I’d have done something. Of course I would’ve been annoyed and obviously I sent a text apologising if I had done something that I wasn’t aware of but in my eyes I hadn’t. If I had I would have wanted to have been made aware of it at least, or had the chance to apologise. But I didn’t. What frustrates me is the helplessness of the situation. Nothing I could have said would’ve changed it. That’s just one of my examples that can be translated into about a million different messages. The most prominent, never judge a situation too quickly. We all do it (and have it done to us), it’s like judging a book by it’s cover. What you see on the outside isn’t always what you get. The only people that can change that is us. It’s easy to go with the first thing we hear. It’s like reading an exam question once, the question may have said multiply the number instead of divide, they’re polar opposites. I don’t hold a grudge against K, of course he isn’t my favourite person the world but this didn’t start from him, it was a chain of events, a group of people that can easily sway someone into a thought. I really hope people learn something from this story as it was a horrible thing to be involved in. Think of a time you’ve wanted to make some money. We think of it a lot. Whether it be on the high street, on Amazon or in a bank, we’ve all been there. What’s more satisfying than hearing the jingling of coins in your pocket? Whilst I was on my Vietnam tour in April, I noticed a certain peculiar business. It required no website, no Facebook Ads, no social media, nothing but one man and an umbrella by the side of the road. This guy was selling shade! Customers on motorbikes would drive up to the side of the road and pay for however long they were there for. It was genius! You can start a business doing ANYTHING. 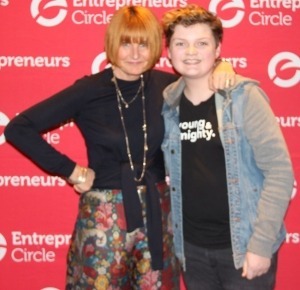 I recently had the opportunity to meet the fabulous Mary Portas at an Entrepreneur’s Circle event run by Nigel Boterill. Of course, I knew Mary from TV but I must admit, I didn’t exactly know much about her story and how she found herself being crowned Mary Queen of Shops. One day after the Young and Mighty book launch I wasn’t exactly in the mood to get out of bed at six in the morning but I knew this was something worth getting up for! A bubbly, energetic Mary Portas took to the stage (with on point hair may I add!) In five years of retail I don’t think I’ve ever met someone with such passion and dedication towards it. In a world of easy access to our favourite brands online, it’s very easy for all of us, me included, to be led into an obsession of online shopping. Mary talks a lot about the successes and mistakes that all retailers are making today. Follow Henry as he starts his far east tour, speaking to students and entrepreneurs throughout Vietnam. 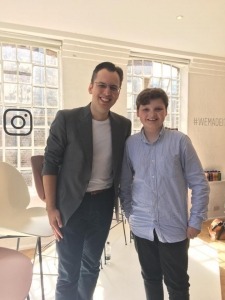 Last year, I met up with Mike Krieger, the co-founder of Instagram. Because of the nature of his product, I had this impression in my mind that he would be loud and the centre of attention. I couldn’t have been more wrong. I was lucky enough to spend three days with Mary Buffett and I must admit I found it life changing. I have to be honest, I didn’t really know how her ex father in law, Warren Buffet, became one of the world’s richest men. I didn’t know anything about investing and certainly didn’t think I would be able to do it. 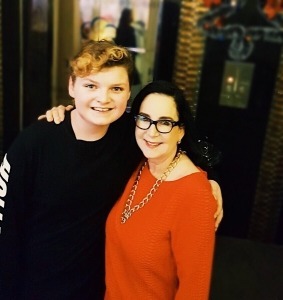 I met Mary because we were both speakers on the Wealth Summit tour in Vietnam. We shared a poster in fact! 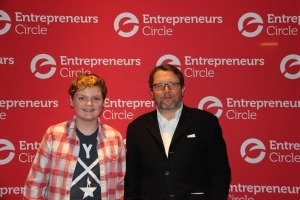 A few weeks ago, I had the privilege of spending a day with Nick Jenkins, the founder of the fantastic personalised greeting card company Moonpig.com. I love to hear stories of how ideas were created – it is never as straightforward as it seems. I had two questions that I was desperate to ask: Why call the company Moonpig and how did they come up with one of the most contagious jingles ever?